Days before he was due to be deposed by his American lawyer, Brazilian asbestos victim Dante Untura Filho died from malignant mesothelioma. He leaves behind a bereaved partner, grieving family members and colleagues for whom he had become something of a legal pioneer. Understanding the link between the occupational asbestos exposure he experienced during his employment at the Alcoa plant in Poços de Caldas (1970-1987) and the disease he contracted, Dante embarked upon a quest for justice. 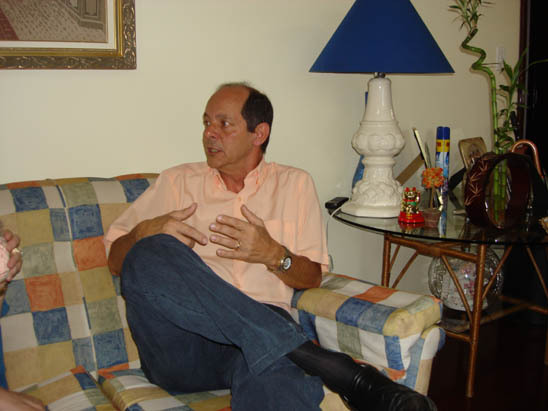 His determination to force his former employer to accept its responsibility for his life-threatening condition impelled him to seek advice and support from ABREA, Brazil's Association of the Asbestos-Exposed, and lawyers in Brazil and in the U.S.
During a prolonged interview Dante gave in November 2009, his need to convey the reality which led to his situation was apparent. He gave unstintingly of his time and energy in order to make sure that his story was told. That he managed to carry on for several hours and that he did so with such good humour and kindness was remarked upon by those which had been present. On January 20, 2010, a complaint was filed in Pittsburgh Pa by his legal representatives which alleged that Alcoa Inc. was guilty of negligence, outrageous conduct, conspiracy, breach of warranty, misrepresentation and other charges. The deposition due to take place in mid-February came too late; Dante died on February 5, 2010.